The transfer of ownership of the former St Anne’s Children’s Home in Lenaboy Castle, at Taylor’s Hill, from the Sisters of Mercy to the Galway City Council, has been agreed. The transfer, which was announced at last night's meeting of the Galway City Council, will see the local authority take on Lenaboy Castle and develop it as a Children and Young People’s Creative and Cultural Hub to "support, nurture, and encourage the creation of cultural and artistic work with and for children and young people". City Hall has been in discussion with the Sisters of Mercy, Western Province, in recent years about the possible future use of Lenaboy Castle. The building, on lands between Taylor’s Hill and Rosary Lane, had previously been used variously as an orphanage, a children’s home, and a social care centre for children and adolescents under the name ‘St Anne’s’ by the Sisters of Mercy and latterly by the Western Health Board/HSE West. At Monday's meeting, councillors were informed that a ‘Heads of Agreement’ is currently being finalised between the Sisters of Mercy and City Hall to transfer the ownership of Lenaboy Castle. In addition, the sisters will transfer €750,000 to the council for the purposes of renovation and development of the property. 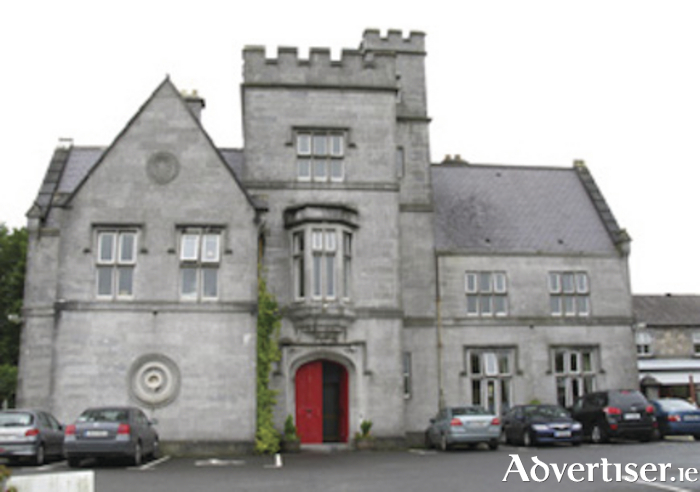 In a statement, City Hall said: "Considering the history of the building, particularly through most of the 20th Century, it is considered by both the Sisters of Mercy and Galway City Council more than fitting and appropriate that Lenaboy Castle will become a hub to nurture, support and involve children and young people in the expression of their imaginations and dreams." The chief executive, Brendan McGrath, has had preliminary discussions with a number of organisations including Baboró International Arts Festival for Children, Branar, Téatar do Pháistí, Galway Community Circus, and others working in the realm of children’s creativity, about the development. It is understood all have been "enthusiastically supportive". The transfer has been welcomed by Labout Galway City West councillor, Niall McNelis. "The sad history of this site will now be filled with children's laughter, song, and dance and will be full with dreams of colourful ideas," he said. "This is a really good news story about the accepted offer of the site at Lenaboy but also the funding in place and available from the Convent of Mercy Trustees, North western regional assembly ERDF funds, national funding and City Council funding. This will be here for many future generations and is a great build up to Galway 2020 European Capital of Culture."